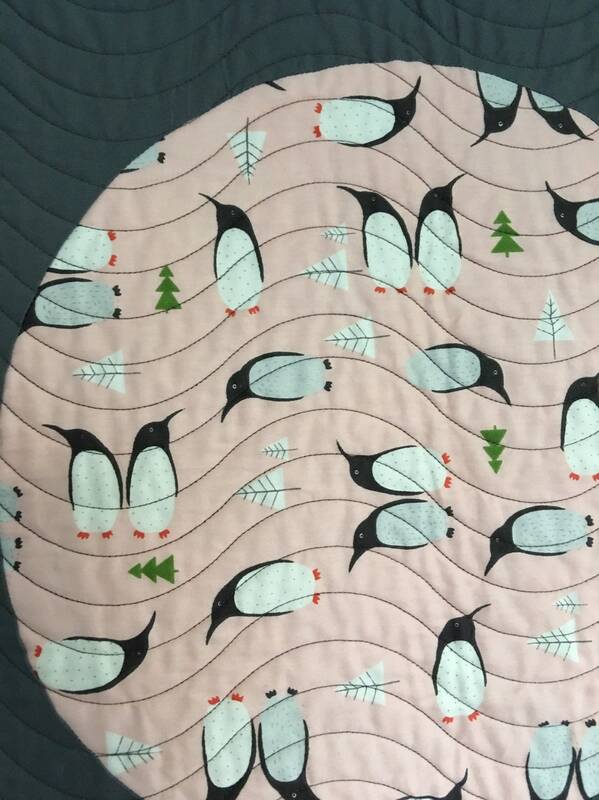 This beautiful baby girl cot quilt is made with pink penguins, stars, deers and crosses. 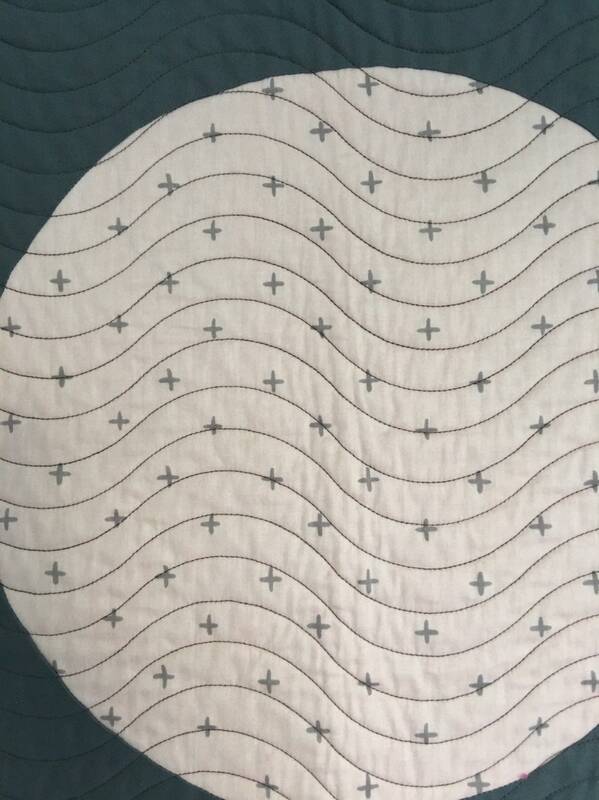 The circles in the quilt really show of the fabric. 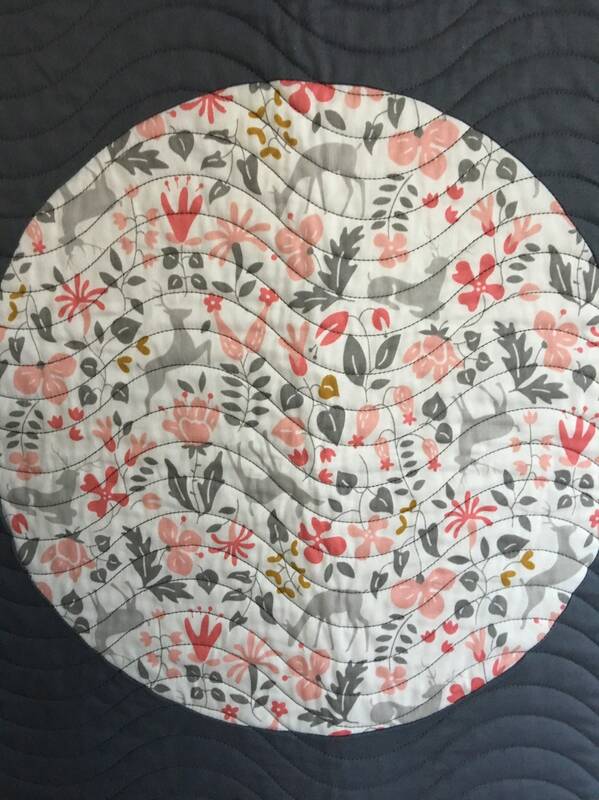 It is quilted with a wavy quilting design with grey thread. The black and white striped binding is cut on the bias to get the slanted look. 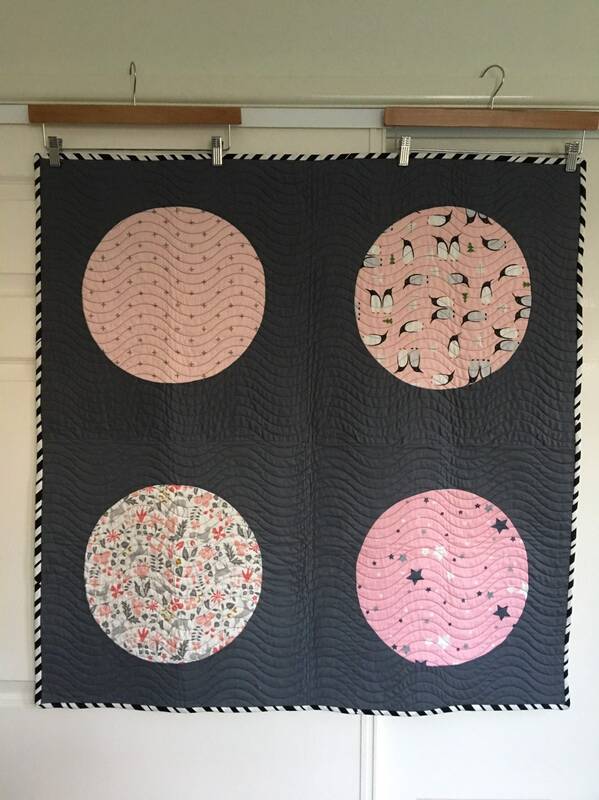 It measures 95cm or 37” square. 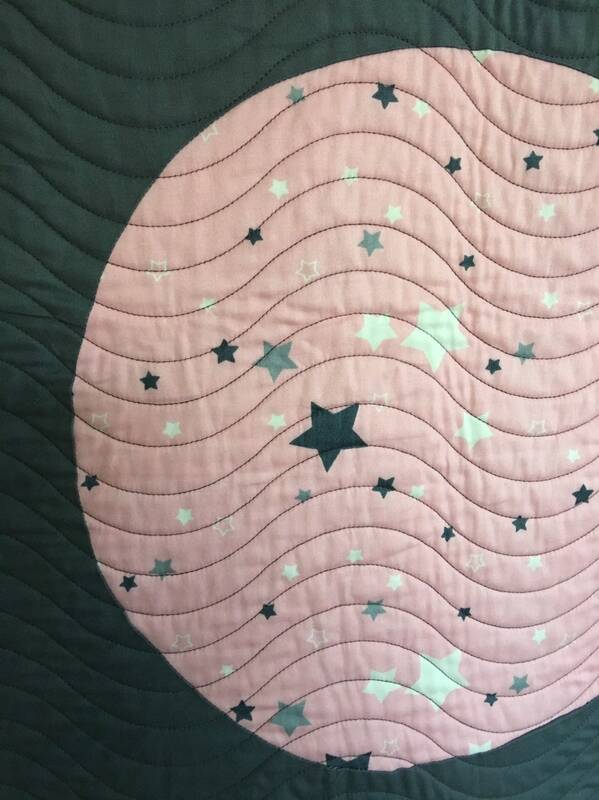 Made with 100% quilters cotton, 100% cotton wadding and is hand bound. All items are posted via Australia Post, from Queensland, Australia worldwide, untracked. If you would like tracking on your purchase please let me know and I can send you a quote. This item will be posted via parcel post within Australia. Hand made by myself in my smoke free, dog friendly house.